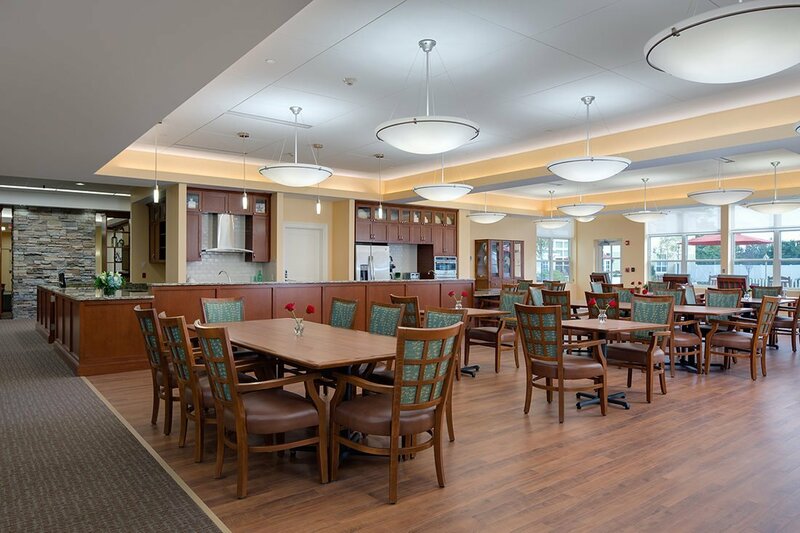 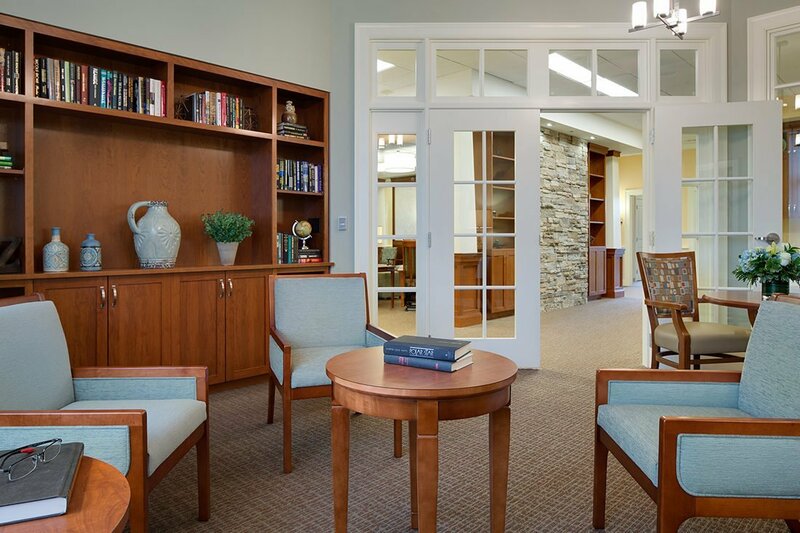 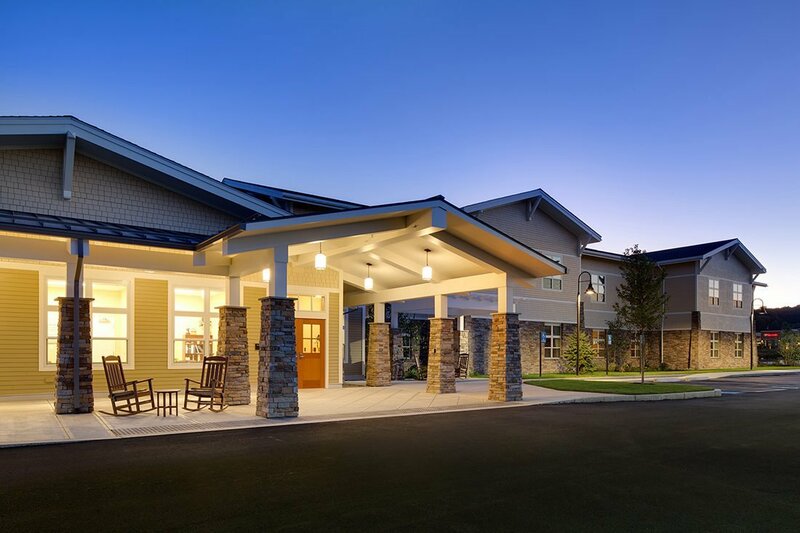 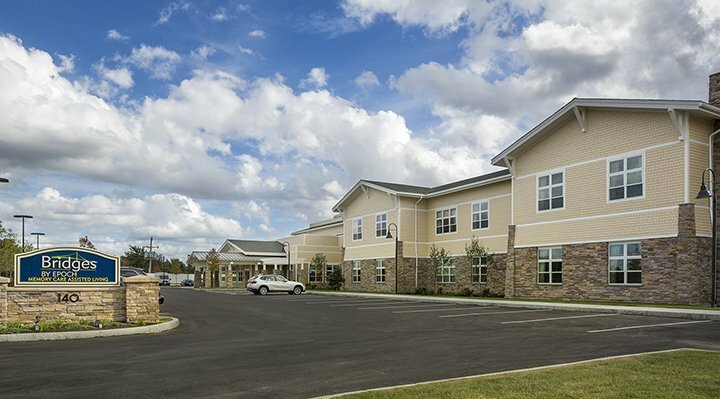 Cranshaw Construction has completed construction on Bridges at University Station, the memory care community National Development developed in partnership with EPOCH Senior Living. 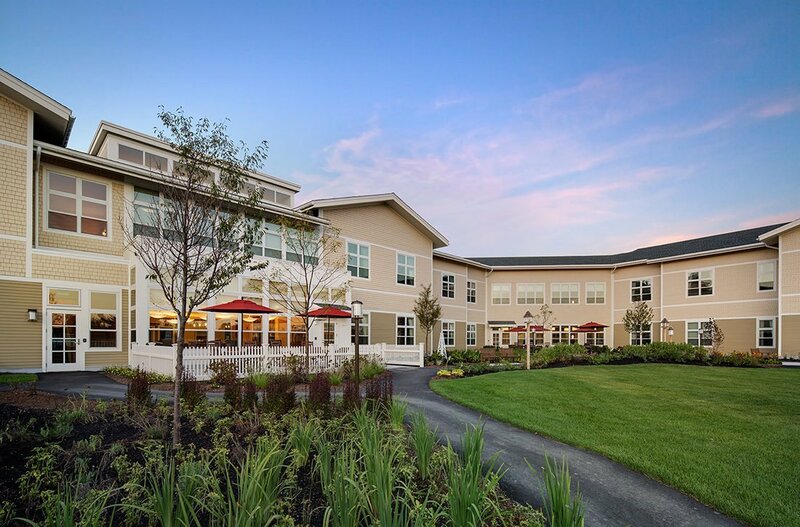 The 64-unit, 72-bed residence, designed by CBT (exterior) and JSA (interior design), opened in July 2015 and is comprised of two stories and divided into four distinct households, each with 16 apartments, private secure gardens, dining areas and common areas including a library and several activity spaces. 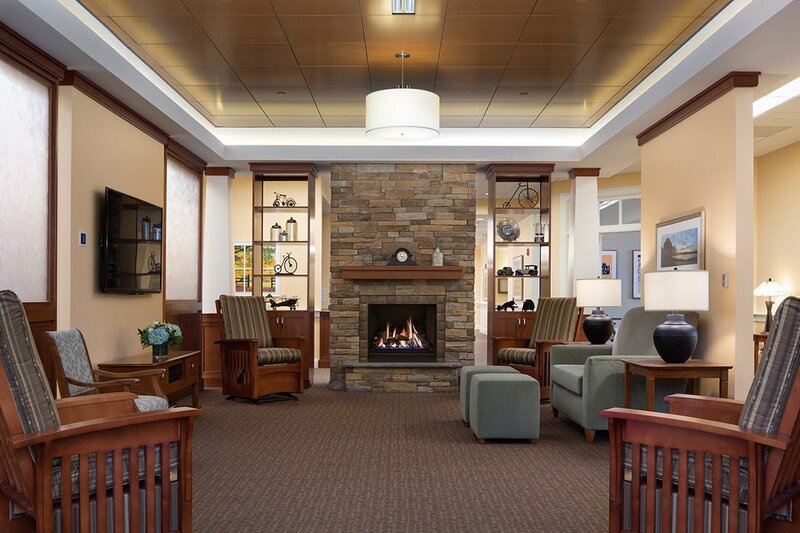 Soft colors, directional cues, aromatherapy, and interactive life stations all create a peaceful, secure environment for residents.